Your business’ website has never been more important. It’s likely where a potential customer has his or her first interaction with you, and if it doesn’t offer a solid experience, your brand and business could suffer. 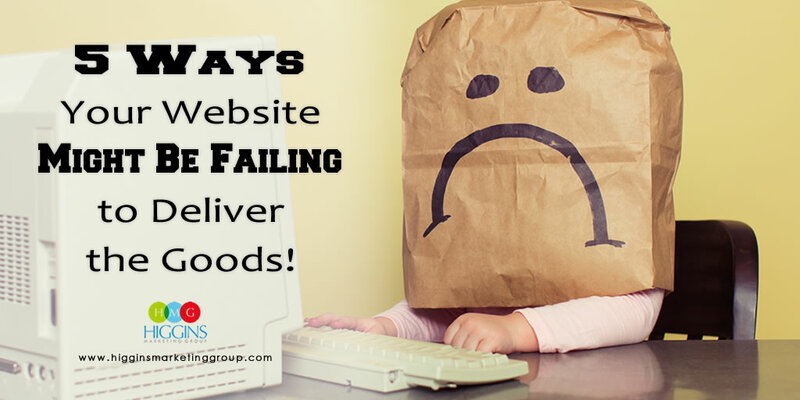 So is your website helping you or hurting you? 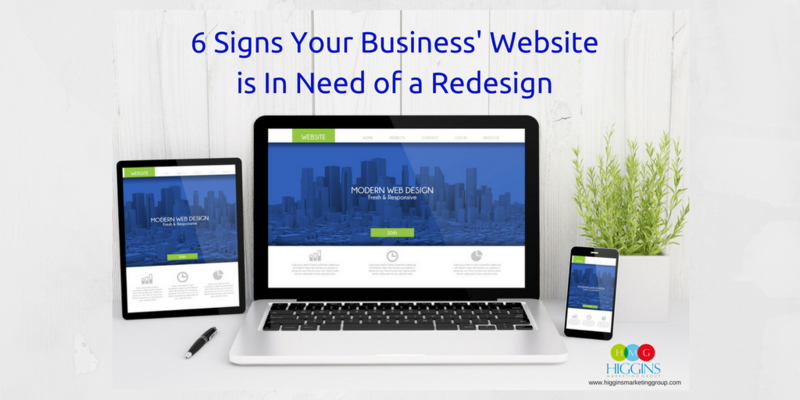 Complete a quick site audit and look out for these six signs that your business’ website needs a redesign. When reviewing your site analytics, are you seeing a high bounce rate? That is a big red flag. Bounce rate measures the percentage of users who came to your website and left after visiting just one page. A high bounce rate tells you that your website visitors either didn’t find what they were looking for, didn’t get a great impression of your website, or couldn’t make sense of the site once they got there. All of these are grounds for a website refresh. There is nothing more frustrating than arriving at a website and never quite getting where you want to be. It should only take a quick glance and a 1-2 clicks for your visitors to find what they are looking for – anything more and you run the real risk of the visitor leaving your website and moving on to a competitor. Obviously that stinks, but it’s even worse if you’ve used some form of paid advertising to get that visitor on your site in the first place! TIP: As a business owner of marketing pro, you may be too close to your own site to accurately evaluate your site’s ease of use. Enlist the help of a trusted friend who is not familiar with your website and ask her to find information about “X.” Ask her to note how long it takes and what “path” she used to find the information. If it takes any longer than 1-2 clicks or 10 seconds, it’s time to make improvements. Sorry to be so blunt, but I’m offering this in the spirit of helping. In many cases, your website will be very the first impression a potential customer forms of “you”. Are you wearing a crisp button up shirt or a plain white tank top with Dorito stains? Seriously, it’s just about that simple! 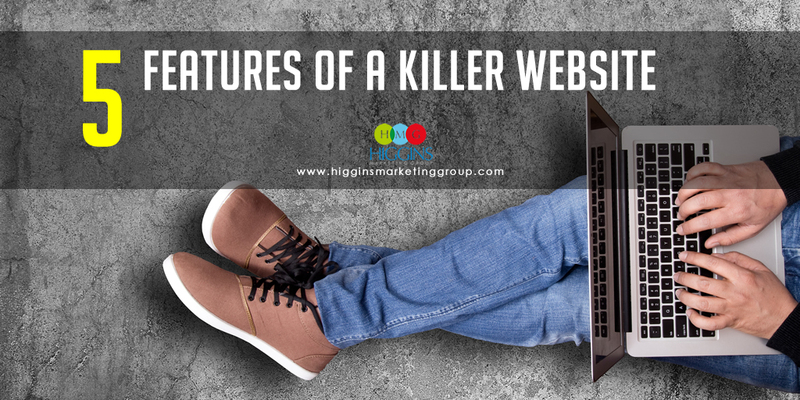 You’re website is your image. So here’s the challenge… my idea or crap and your idea of crap may be completely different. To mitigate this, I’d recommend enlisting the help of 5 people you trust will shoot straight with you. Ask them a single question: One a scale of 1-10, how professional do your think our website looks (reiterate they’re not going to hurt anyone’s feelings!). Take the average of the 5 responses. If it’s less than a 4, it’s time to give serious thought to a site redesign. It’s that simple. Can your website go from desktop to mobile to tablet and still look amazing? If it can’t, then you’re in serious need of a reboot. Over half of all web activity is conducted via mobile devices. Having a site that’s not responsive is going to leave customers wanting. So much of what we do these days happens on our phones and tablets, so if your business’ site doesn’t look good on mobile, you’re going to lose customers. Plus, Google isn’t as friendly to non-responsive sites, so you’re also going to lose SEO value. Here’s your 30 second assignment. Go to https://search.google.com/search-console/mobile-friendly and enter your website address (seriously, go do it right now. I’ll be here when you get back…). You’ll get a simple “yes” or “no.” If the answer is no, contact us or another web designer and start gathering quotes! Real quick one – Remember when Flash was all the rage? It was revolutionary at the time, but now all it does it make you look out of touch and often impacts website performance. Not only do Flash elements date your website, they also make it harder for search engines like Google to crawl your site. Check out your traffic report. What does it say? Assuming it’s not caused by a pullback in ad spend, static or declining page views point to a problem. Most likely is related to a couple points I’ve already mentioned. We don’t have to tell you that this is bad news. Maybe you don’t need a complete overhaul to fix this problem, but you definitely need a tune-up. Now that you’ve finished your site audit, you should have a better idea of where your current website stands. If you’ve spotted any of the above red flags, it’s time for a redesign. At Higgins Marketing Group, we have a team of marketing pros with a passion for great design. If we can help you out, just give us a ring at 407-680-3735. 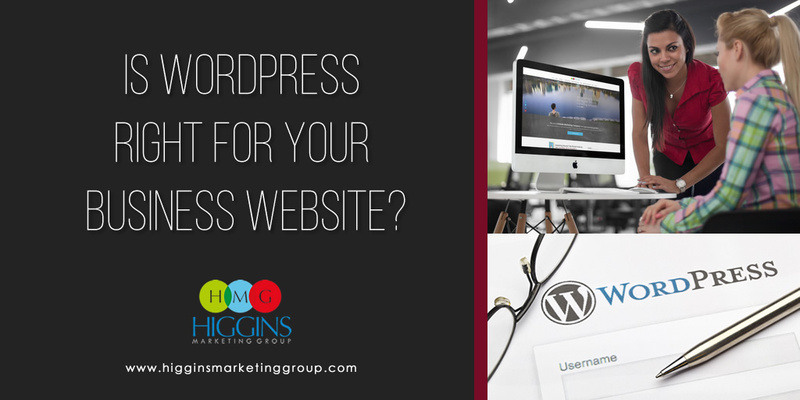 Is WordPress Right for Your Business Website?